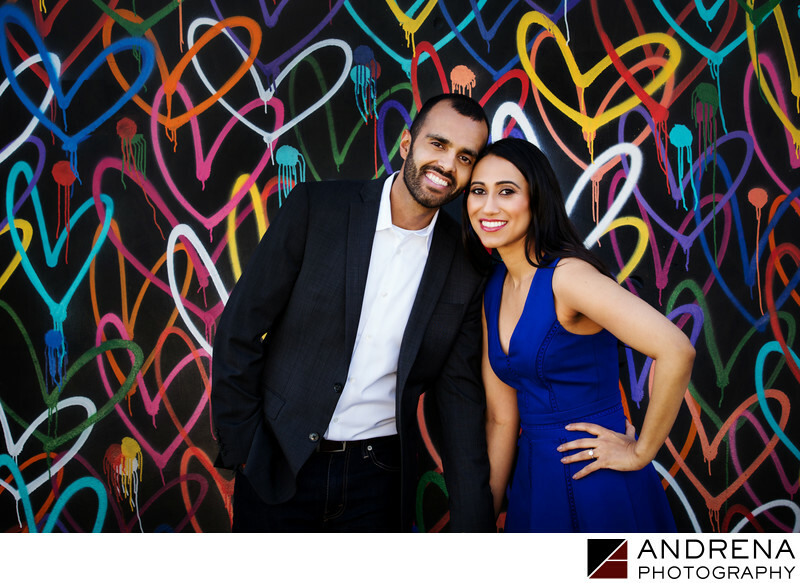 The heart wall in Venice, California, is a must-have photo backdrop for every engagement session in Venice, California. You may have to wait in line, as this is a popular wall for Instagram photos. But the wait is worth it, as the artist's vision for hearts upon hearts serves as a perfectly colorful backdrop for any pre-wedding photo session. Venice is a wonderful location for engagement sessions as it is full of color and greenery. You just have to know where to look. When shooting in Venice, I recommend always taking care to be respectful of the neighbors and businesses in the area.